Home Folder PowerShell SharePoint SharePoint 2010 SharePoint 2013 SharePoint 2016 How to Rename SharePoint Folder Programmatically? How to Rename SharePoint Folder Programmatically? 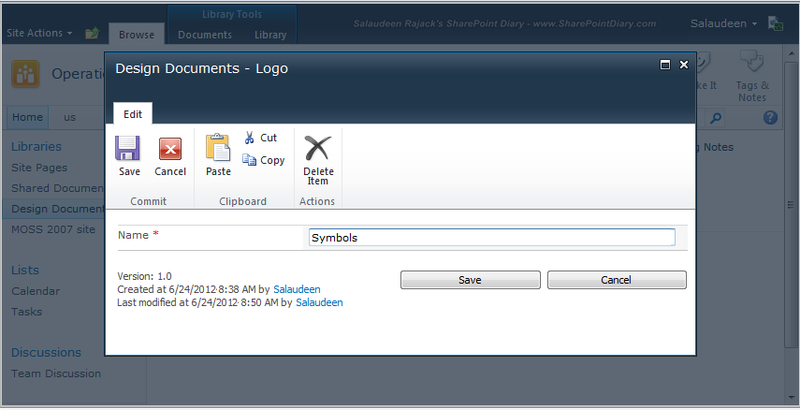 To rename a folder in SharePoint 2010, Navigate to the library where the folder exists. Click on "Edit Properties"
Provide new name to the folder and click on "Save" button. How rename SharePoint folder programmatically? This code renames folder at given path. Unlike Lists & document libraries, Folder URLs will change when you give a new name to it. how to rename using CSOM? 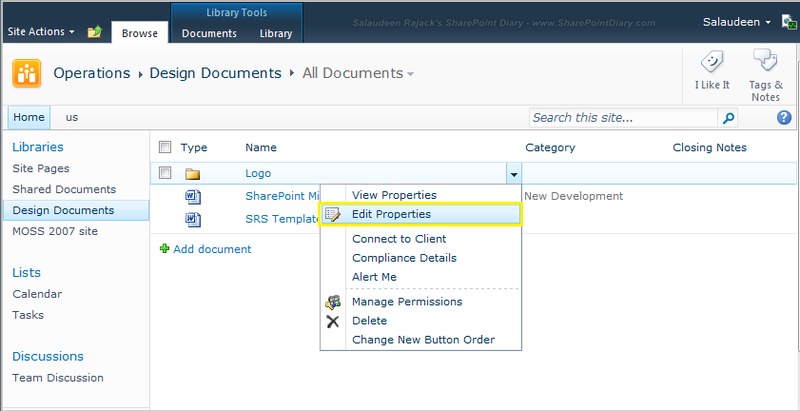 How to Create a Subsite in SharePoint 2013?